Lets celebrate the end of another school year together with a fun BBQ, boxing jumpers, jousting, corn hole and so much more! Plus a live DJ and lots of fun! 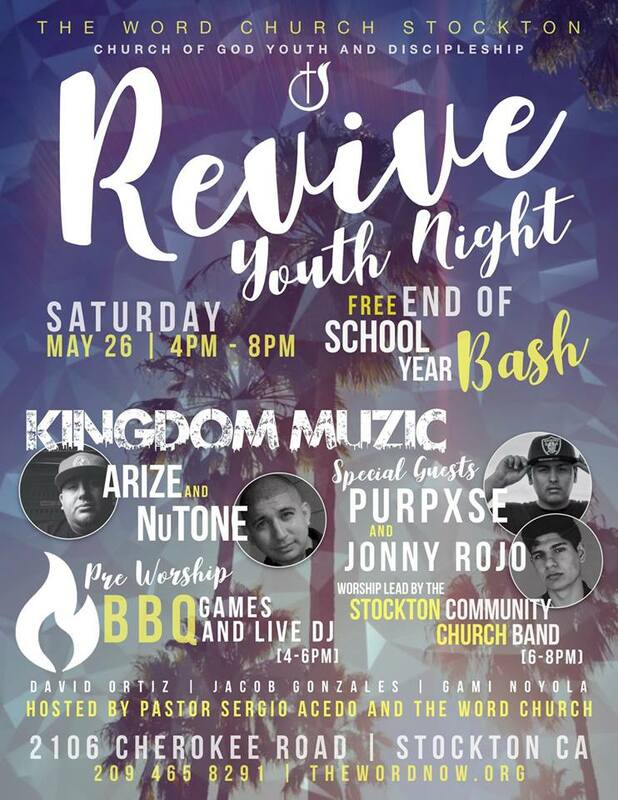 Then starting at 6:00 pm we will have live worship lead by the Stockton Community Church Worship Band, Arize and NuTone from KINGDOM MUZIC, and special guests Purpxse and Jonny Rojo! We will then finish the night with a powerful message from Pastor Sergio Acedo! Join young people from all over Stockton and Northern California! Best of all, it will all be completely FREE! Let's fill up God's house on May 26th!